While I figure out what to do with my new hair, I am trying out all sort of weird things. This look turned out to be quite 90s without having intended to be. I look like an edgy 90s kid with floral button up, high waisted acid wash jeans, vintage patchwork leather bag and side ponytail. I couldn't resist throwing in my Jeffrey Campbell Tripoli in the mix though. As for the title, why 1996 you ask? That is the year I moved to America from Hong Kong. Feeling a little sentimental today, trying to stay positive and appreciate the good things in life. Floral chiffon button up from Charlotte Russe. Mint pointelle knit duster by Red Berry. High waisted acid wash jeans by Vibrant. Thrifted vintage patchwork leather bag. I love the pattern of your shirt! It is just so adorable! the sunnies and boots are pretty! 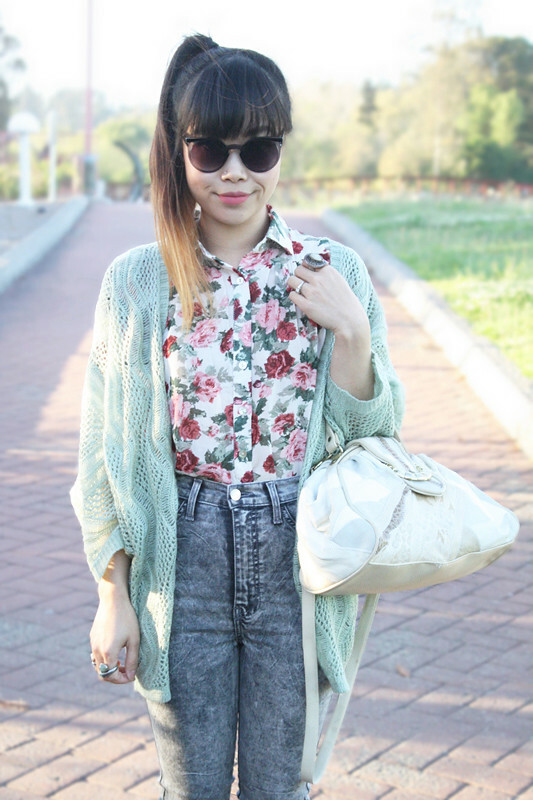 Aww the combo of blouse and cardi is so adorable! Such beautiful springy colours! 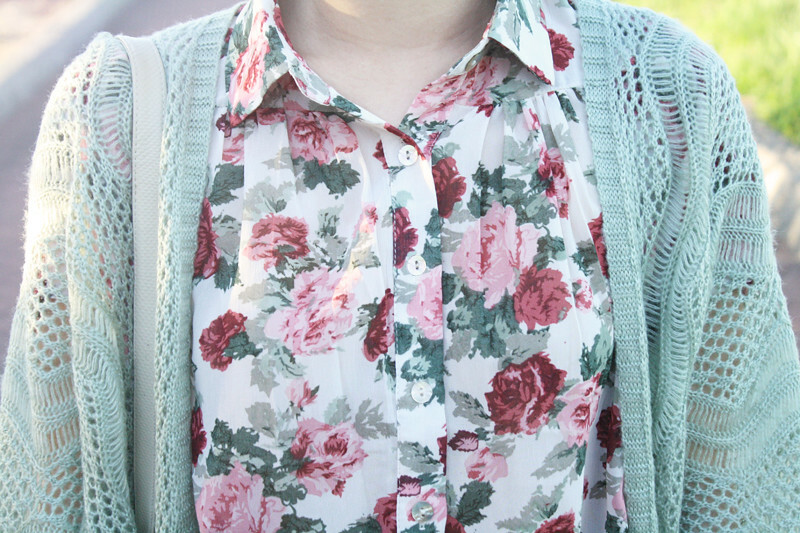 I think you look awesome in your floral top and oversized cardigan. Those jeans look great on you too. And the sunglasses are fantastic! I definitely get an early 90s vibe from this outfit. Maybe even late 80s with the acid wash.